Step 1: Lay out your twigs and spray paint them all over. Let dry. Step 2: Apply glue to the areas of the twig that you want "frosted". I left the bottoms plain because they were going in a vase anyway. 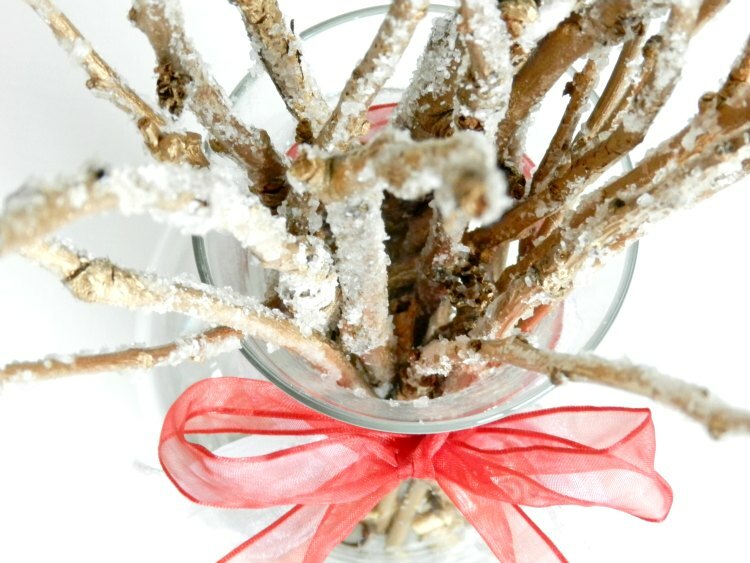 Step 4: Let the salt dry on the twigs and then place them in a vase to enjoy! You never cease to amaze me with all your simple and awesome ideas. Gotta try this one with the kids! Oooh, I so want to try this one. I hope I can find time in the next week or so. Thanks for sharing! Love this, too. Just picked up a small branch I'd saved and thought, I need to frost this!! Thanks for the how to. these are beautiful!!! thanks for sharing the how to! 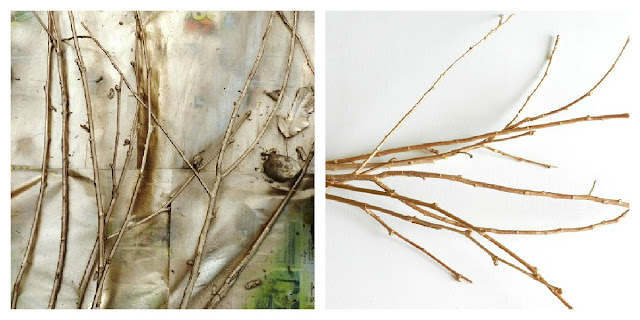 I was just telling my hubs about twigs and all the fun things I could do with them...besides kindling. haha! Love this tutorial! 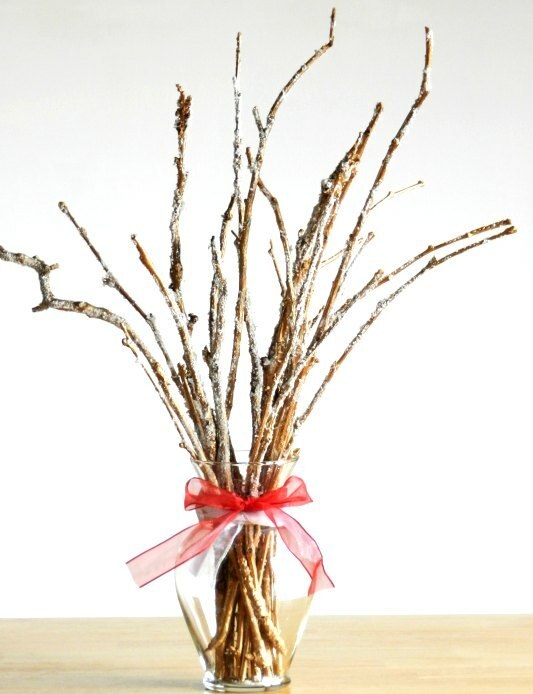 I'm gonna find me some twigs and salt them. Visiting from Sugar Bee. Love the simpleness of this craft! Its so pretty too! I would LOVE to have you share this at my party!! Nice! 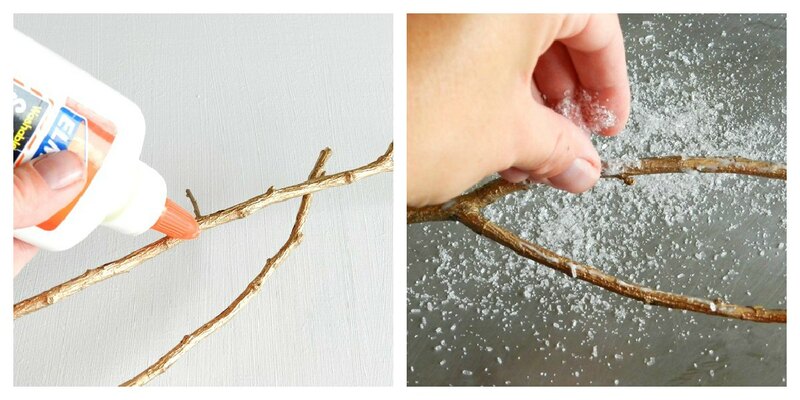 I'm trying to go with a snow theme in my living room, and this is a great tutorial on how to do it. the perfect amount of bling on some good ol' nature!! thank you so much for linking up to our party!! So pretty and perfect all winter long! I love epsom salt for frosty projects!